Instagram, One Of The Popular And Fastest Growing Social Media Is Now The First Choice Of Youth. Many Of Us Spend Time On Instagram By Viewing Trending Pictures, Videos With Its Search Feature. You’re Here Because You Want To Clear That Annoying Searches And Suggested Accounts Appears When You Go For A Search. Just Like Other Apps When You Search In Instagram, Instagram Will Record Your Search Query. When You Again Go For A Search, You’ll See Your Previous Searched Items Under Recent Section. This Is Too Annoying. 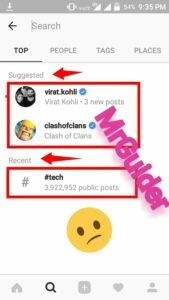 Similarly, Instagram Suggest You Some Instagram Accounts On The Search Page, Many Users Also Don’t Want These Accounts To Be Appear There. 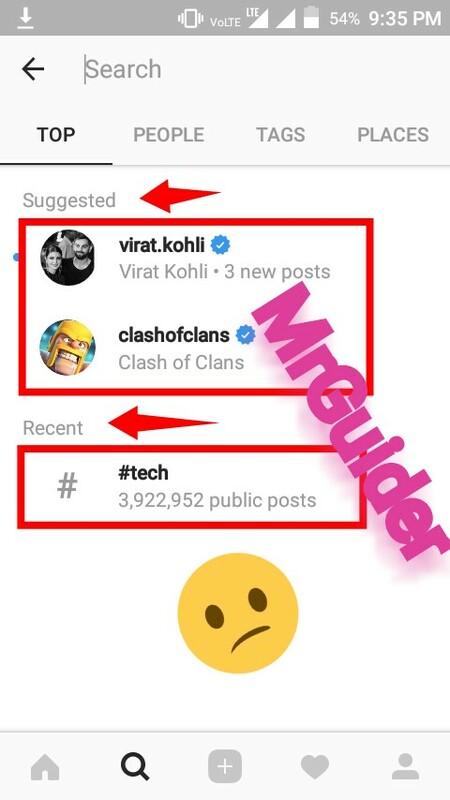 You Can Say That Most Important Feature Of Instagram That Is Of “Search” Becomes Annoying With This Search History And Suggestions. 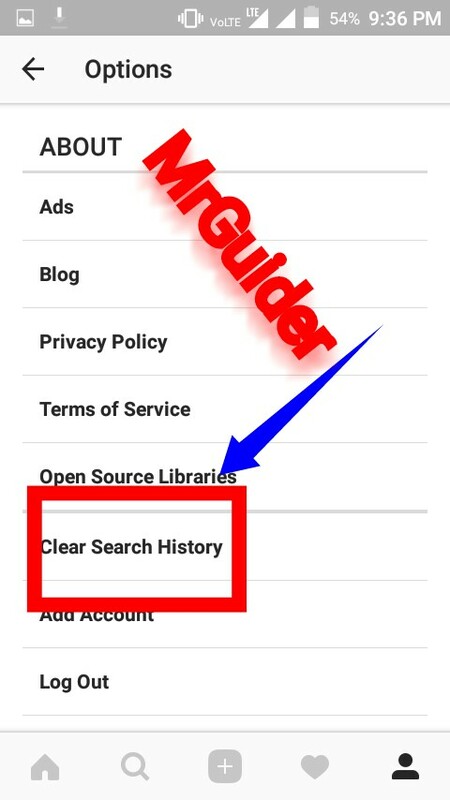 But Don’t Worry, You Can Clear Recent Search History From Instagram Search Page. You Can Also Hide Suggested Instagram Accounts From The Search Page. Note-You Must Have Latest Instagram Version Or Make Sure Not Too Old. 1. )First Step Is To Open Instagram In Your Device, Then Go To Your Profile Section. 3. 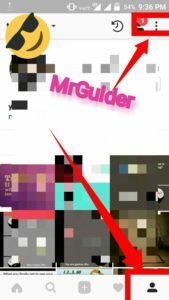 )Scroll Down To Bottom Under Instagram Options. At Last, You’ll See “Clear Search History. Click On The Option And Confirm. 4. )Go Back And Check. You’ll See All Recent Items Or Recent Searches Are Cleared From The Instagram Search Page. 5. )To Clear Instagram Suggestion Which Shows “Suggested” Accounts On Instagram Search Page, Long Press On An Account And Choose Hide. 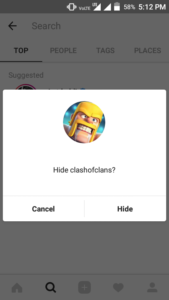 That’s It Suggested Account Will Be Hide From Instagram Search Page.